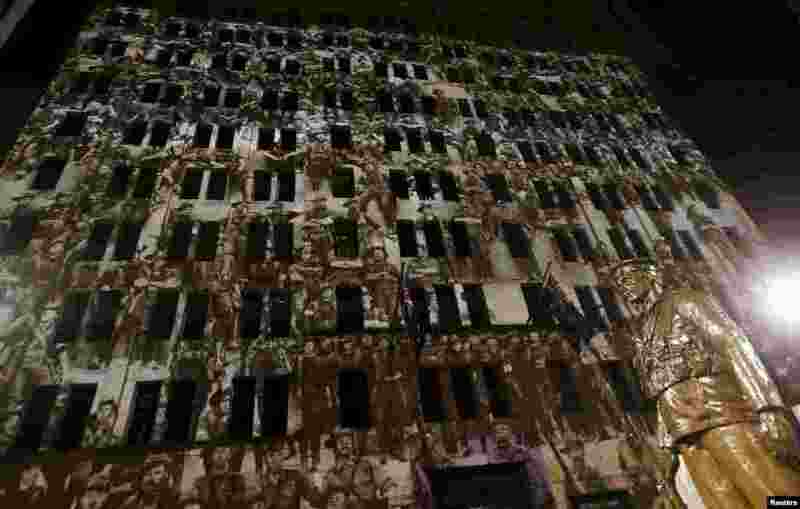 5 Old photographs of Australian soldiers are projected onto an office building alongside a bronze statue at the Cenotaph war memorial on ANZAC (Australian and New Zealand Army Corps) Day in Sydney. Commemorations on Turkey's Gallipoli peninsula on Friday marked the 100th anniversary of a World War I battle that helped shape the birth of new nations. 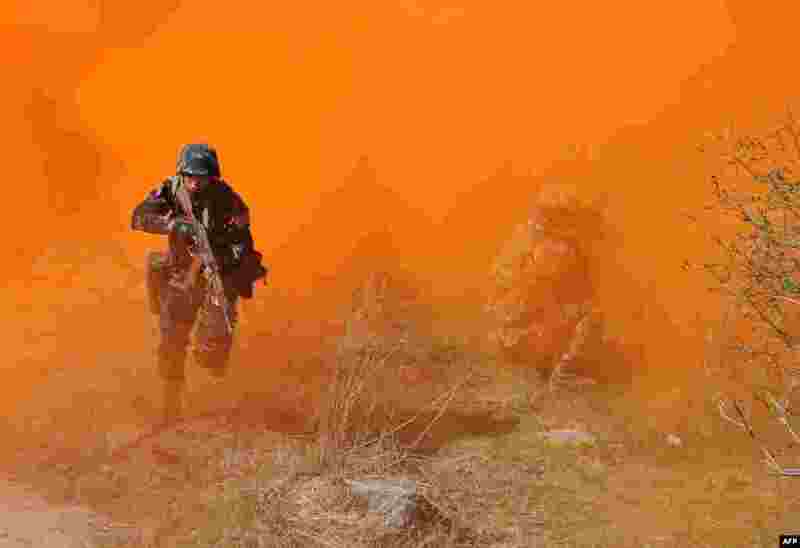 6 Special Forces soldiers of the Shanghai Cooperation Organization (SCO) member states take part in joint military exercises in the Shamshi gorge, some 100 km of Bishkek, Kyrgyzstan. 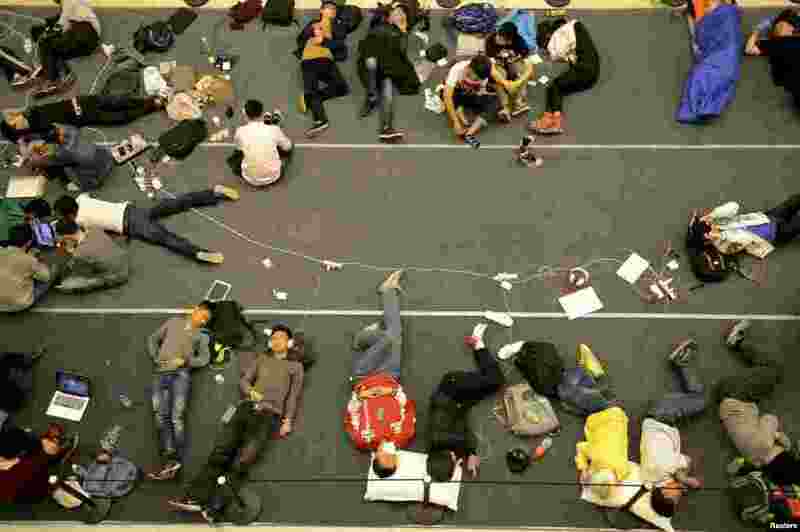 7 People sleep on the floor as they line up for the opening of a new Apple Store in Hangzhou, Zhejiang province, China. The 19th Apple Store in mainland China opened on Friday. 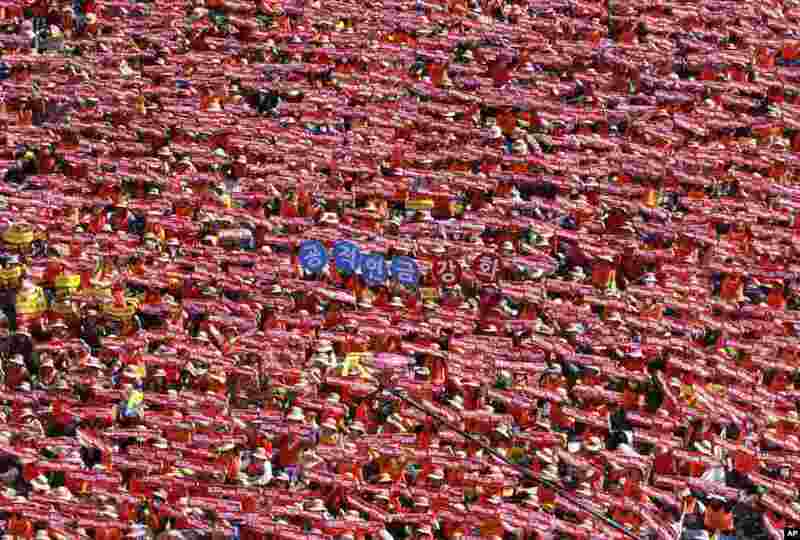 8 Members of the Korean Confederation of Trade Unions shout slogans while raising banners reading "Let's end Park Geun-hye and Let's go on general strike" during a rally against government policy in Seoul, South Korea. Thousands of protesters marched in cities across the country denouncing the labor policies of the increasingly unpopular president.